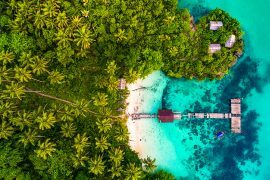 Wilderness Travel brings adventurers to every corner of the map, and on many of our journeys, we’ll witness—and sometimes even participate in—unique celebrations of local culture. 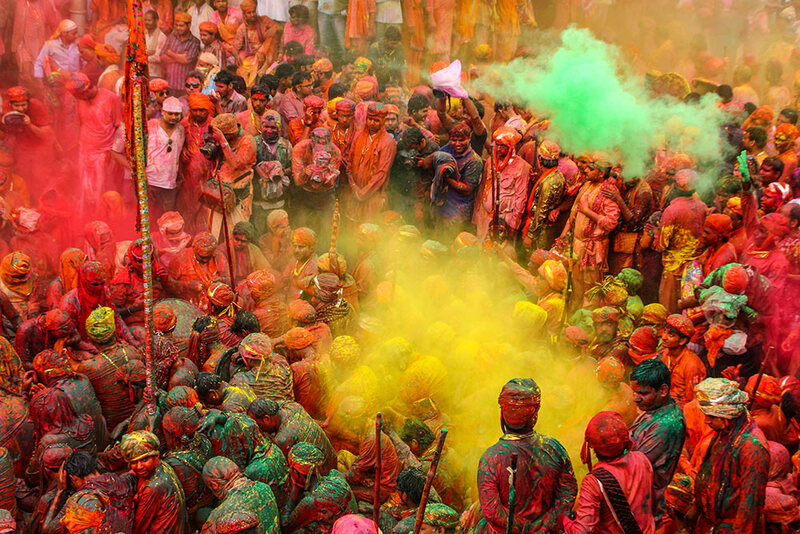 Here are a few of the most fascinating festivals on Earth. 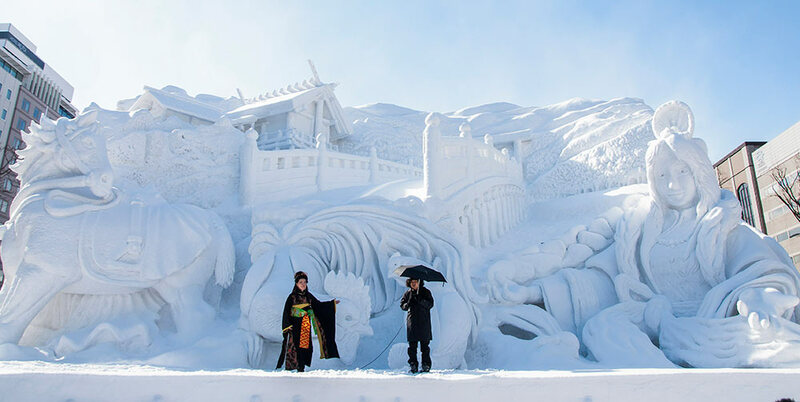 Spanning only a week, the Sapporo Snow Festival features magnificent sculptures in several locations throughout the city. Pioneered by high school students in the ’50s, it quickly became an international spectacle. Today, teams from around the world (including China, the US, Australia, and Germany) carve larger-than-life sculptures, snow mazes, and snow slides. Our Japan: Snow Monkeys and Winter Cranes journey joins in on the fun as it takes us on a stroll through the streets of Sapporo (It’s especially marvelous at night, with the monumental artwork illuminated by colorful spotlights). Out in Mongolia’s Wild West is the wildly colorful Golden Eagle Festival, which celebrates the traditional hunting culture of Kazakh nomads. On our Wild Mongolia journey, we experience this unique competition of mounted hunters and huntresses with their trained golden eagles. 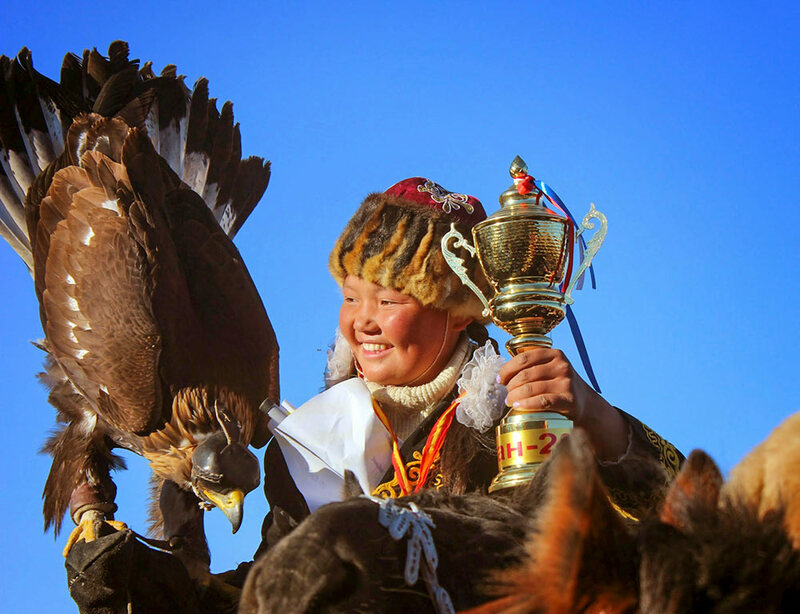 Our Asia Specialist, Lisa Filippini, attended the festival in 2014, where she witnessed Aisholpan (above), become the first female ever to win the competition, and the first eagle hunter in her Kazakh family’s 12 generations of hunters. (Aisholpan was later featured in The Eagle Huntress, the acclaimed 2016 documentary). 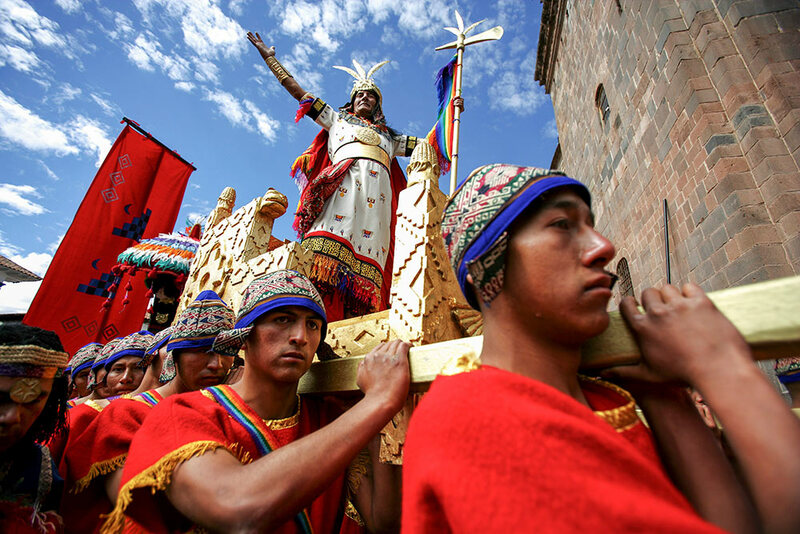 Inti Raymi, which means Festival of the Sun in Quechua, is held throughout Latin America, but the largest celebration is in Cusco, Peru, on June 24 (winter solstice in the Southern Hemisphere). In the Incan empire, tens of thousands would gather to sacrifice hundreds of llamas and drink plenty of chicha (Inca beer) in honor of the sun god, Inti. Though the particular customs have changed, locals still celebrate with traditional dances and parades. We offer two Inca Trail to Machu Picchu journeys in June that coincide with Inti Raymi, so you can begin or end your adventure with the Sun Festival. 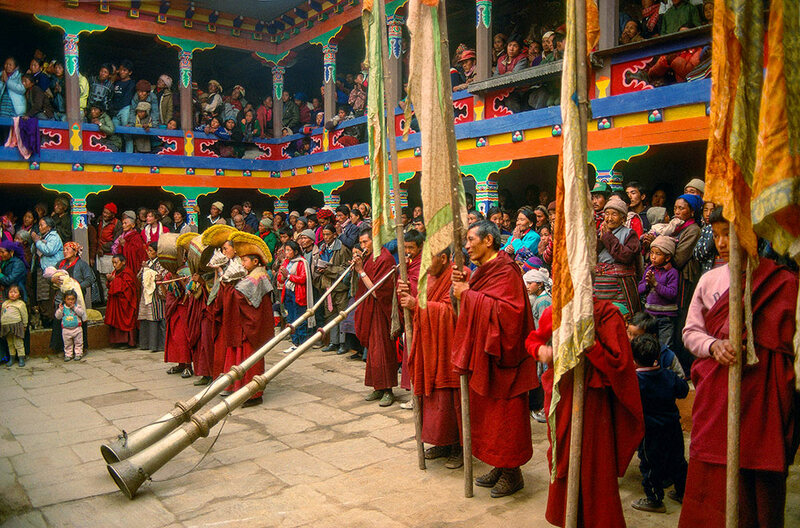 If you want to know Bhutan’s traditional culture, you’d be hard-pressed to do better than by attending a Tsechu festival. Tsechus are a celebration in honor of Padmasambhava (Guru Rimpoche), the 8th century master who brought Buddhism to Bhutan, and are celebrated throughout the country—we experience one on every Hiker’s Journey to Bhutan departure. 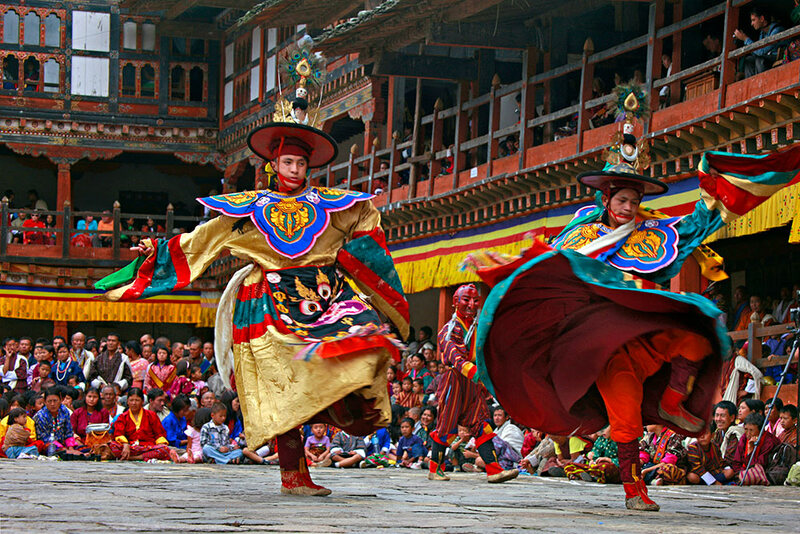 Mesmerizing songs and dances are performed by monks and locals dressed in colorful costumes; during some tsechus, there’s an unfurling of a thongdrel, a massive thangka (silk tapestry) of Padmasambhava. Also known as the Pushkar Camel Fair, this festival is one of the largest cattle fairs in the world. 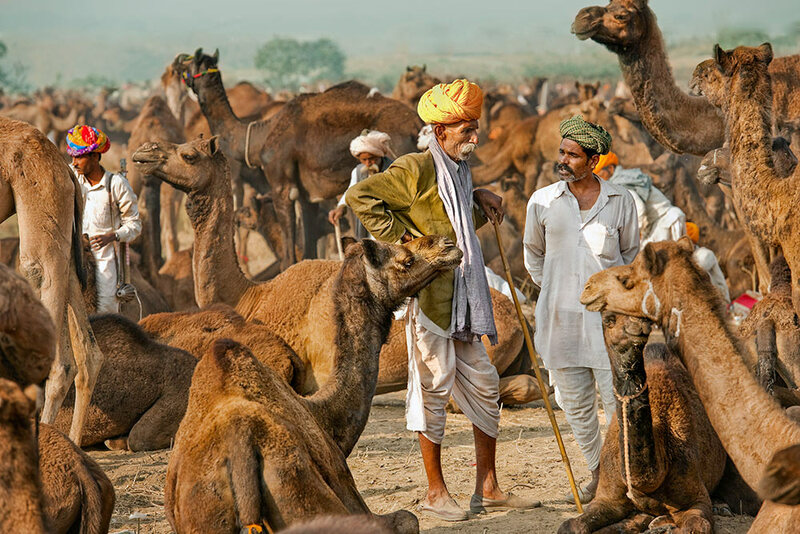 Set in a remote town in Rajasthan’s desert, it and attracts more than 200,000 visitors who come to trade livestock or simply witness the camel races. On our Royal Rajasthan journey, we enter the festival by camel (of course!) 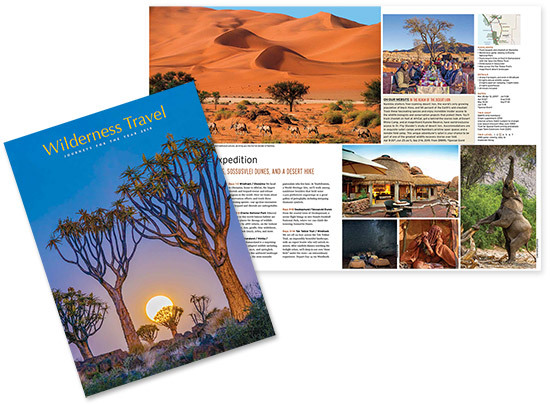 and enjoy sunset walks through the dunes, among the traders and camel camps. Nestled in a valley below Mt. Everest, Tengboche Monastery is one of the most sacred and iconic monasteries in Nepal. Mani Rimdu takes place there after the full moon in October, and features lamas dressed in red robes reciting prayers and chanting, and ancient mask dances performed in the monastery courtyard. 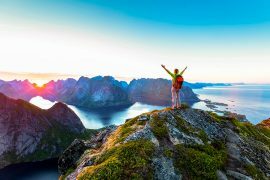 Certain departures of our Everest adventures coincide with this celebration, so you can pair the physical accomplishment of trekking to Everest with the spiritual ecstasy of Mani Rimdu. 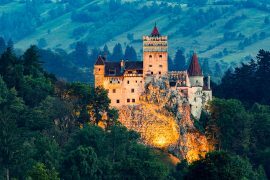 What began as the wedding celebration of Crown Prince Ludwig and Princess Therese in 1810 has grown to become one of the Europe’s most iconic cultural festivals. 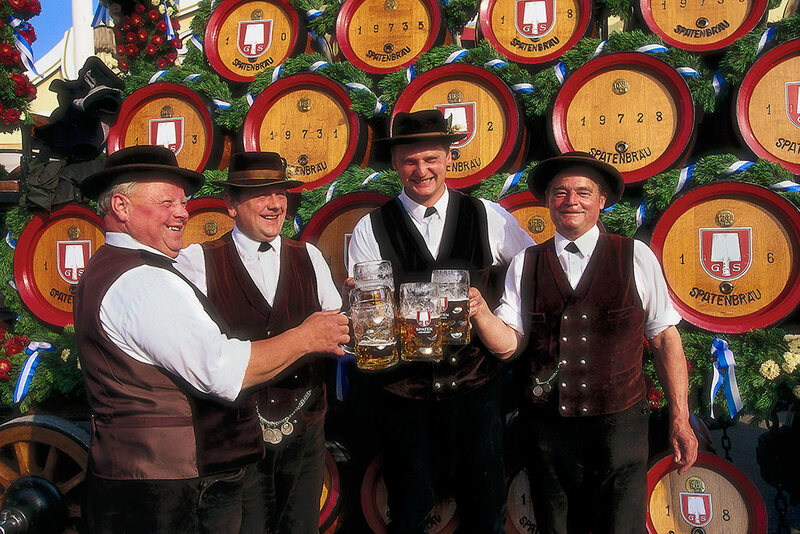 Oktoberfest is celebrated throughout the world around from the end of September through October, but its roots run deepest in Munich, where thousands gather under tents to grab a pint (or two, or three…) and toast Bavarian culture. 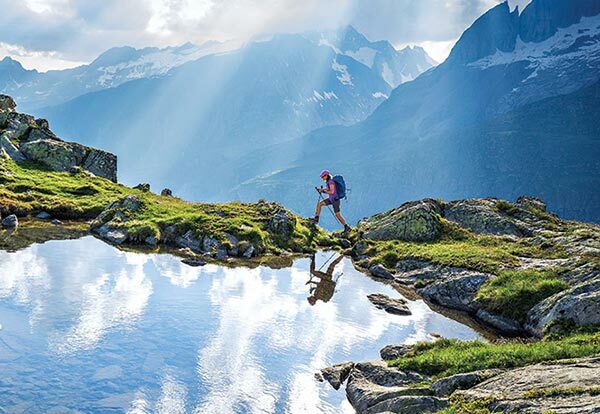 One of the departures of our Hiking the Tyrolean Alps adventure concludes right before Oktoberfest kicks off—a perfect lead-in to the festival. 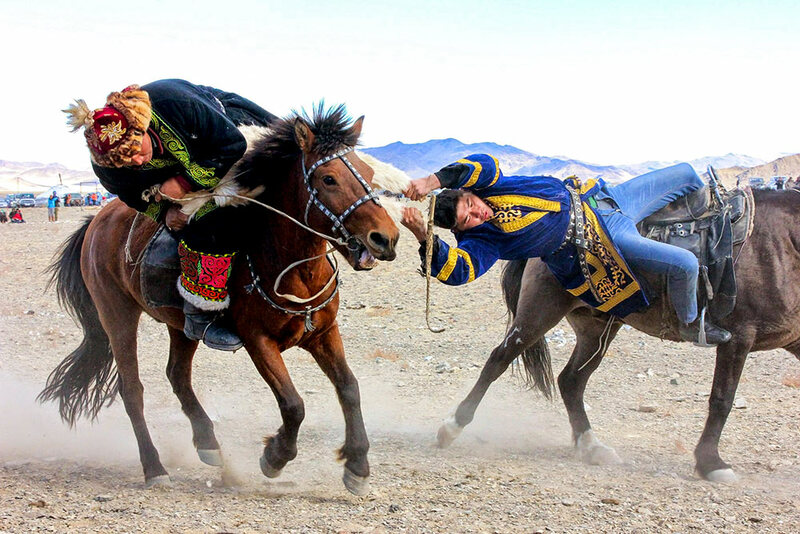 On our other Mongolia journey, In the Realm of Genghis Khan, we witness Naadam, “the three manly games,” where participants compete in wrestling, horse racing, and archery. It’s a thrilling experience to watch riders on horseback performing daring acrobatic moves, and we witness wonderfully local festivals in the Gobi Desert or near the ancient ruins of Kharakhorum. Also known as the Sanno Matsuri, the Spring Festival in Takayama, Japan, is rooted in the tradition of giving prayers for the upcoming fall harvest. In its current incarnation, the festival features ornate floats bedecked with lanterns and intricate wooden marionettes (suggesting Edo-period robots) that make their way through the main streets around the Hie Shrine. 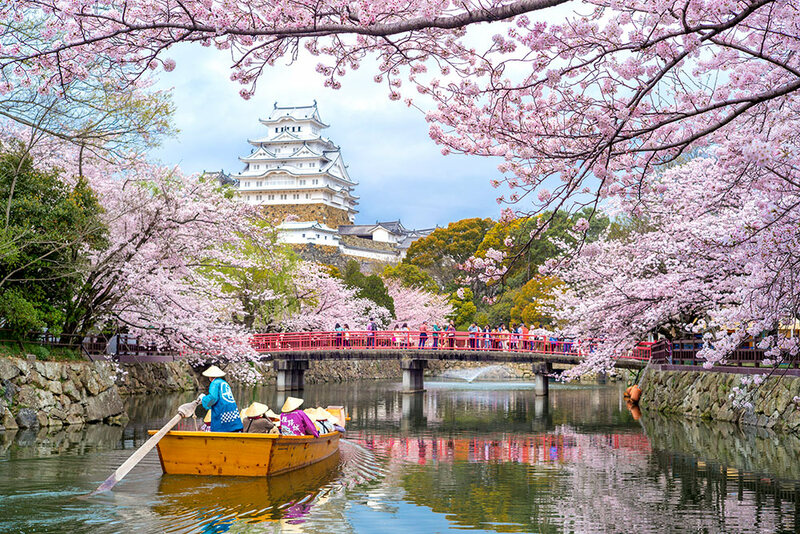 But what makes this festival truly unique is the breathtaking beauty of the cherry blossoms, the ephemeral pink blooms that paint the town for a few short weeks in peak season. One of our Japan adventures is timed specifically to coincide with this stunning vernal display. 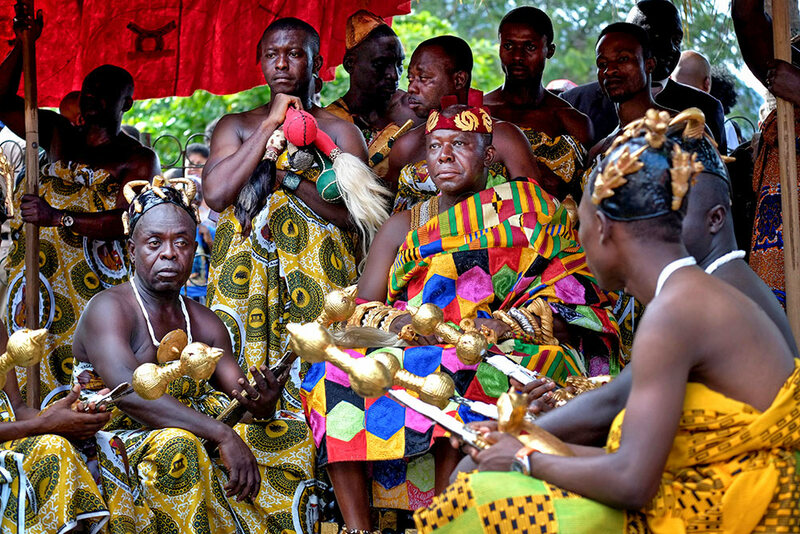 The Akwasidae festival is held every six weeks in Kumasi, Ghana, to honor the Ashanti king, and is a marvelous display of colorful dress and dance. Three-time WT Adventurer Donovan Wong joined our Tribal Ghana, Togo, and Benin adventure, and shared his experience on our photo blog: “There were hours of pageantry and rhythmic drum beats from the local bands surrounding the courtyard. While the king looks stern, his face was full of smiles at the end of the ceremony when he started dancing with his guests before returning to his palace.” Read more about Donovan’s adventure here.